This week marked the end of the long wait for the reveal of Magic Leap's first product and the beginning of the wait for more substantive details. Likewise, Google Tango will meet its end in March 2018, when ARCore will officially begin its public rollout. Meanwhile, Honda is hoping for a happy ending for hospitalized children, gifting them with some AR well-wishes to brighten their days. It finally happened. Magic Leap has given the world its first glimpse at its debut device, the Magic Leap One Creator Edition. At 9 a.m. ET, the company flipped the switch on a huge website update that splashed the homepage with images of what is now confirmed to be an augmented reality headset. The headsets, called Lightwear, looks radically different than anything that has come before it, with rounded lens instead of a windshield-like display. Lightwear will be tethered to a wearable computer, called the Lightpack, which appears to be the size of a Sony Discman. Accompanying the headset and device is a handheld controller for navigation, including "force control" and haptic feedback. REALITY BITES: Steem, creators of a mobile augmented reality platform for the home services industry, has raised $1.725 million in seed funding from a group of venture capital firms. Along with the announcement that the first non-preview version of ARCore will be coming in March 2018, the official Tango Twitter account stated the turn down for Tango will also happen in March 2018. "As we focus on bringing augmented reality to the entire Android ecosystem with ARCore, we're turning down support of Tango," said Nikhil Chandhok, director of product management at Google. 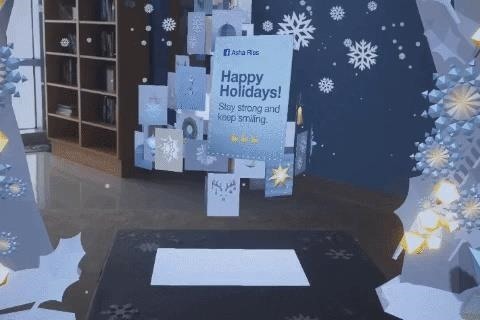 REALITY BITES: While Apple and Google press forward with mobile AR toolkits, many industry experts believe the future of AR applications will lie in spatial computing. One of the companies working in this space is Scrape Technologies, and co-founder Edward Miller builds his case for the "AR cloud" on Medium. Augmented reality has given companies worldwide great powers for innovating business practices and engaging customers, but on Monday, Honda demonstrated that with great power, also comes great social responsibility. In this case, the carmaker, with a technology assist from Blippar, is using its augmented reality powers to bring a little joy to the lives of hospitalized children facing grave illnesses at the Children's Hospital of Orange County in California. REALITY BITES: AR hardware components maker WaveOptics has appointed David Hayes as their new CEO. Hayes also held the CEO mantle of 1066 Labs. DAQRI acquired the firm in 2015, with Hayes continuing to serve as an executive vice-president prior to taking over at WaveOptics.